The use of this website is governed by the terms and conditions as listed below. Your use of this website and any purchase made indicates your acceptance of these terms and conditions. The Peppermint Group reserves the right to make changes to this site and these terms and conditions at any time. By ordering or registering on The High Tea Party website you grant us the right to add your contact details to our database. From time to time we may contact you about offers and new products. You can easily be removed by either unsubscribing via a link or contacting us at admin@thepeppermintgroup.com.au and we will remove you from marketing communications. The Peppermint Group uses images directly from past events and some stock images on the website. These images are used to convey an overview and “feel” of the event series. These images do not represent every event in every location. Events will vary based on the location and participating sponsors. The Peppermint Group offers access to The High Tea Party retail markets. The Peppermint Group is not responsible for the actions of sponsors both during and following the event. Products, discounts and offers are at the discretion of each individual sponsor, and no way the responsibility of The Peppermint Group. Entry tickets are non-refundable at any point before or after the event. In the rare event of extreme dissatisfaction with the event, please contact us at admin@thepeppermintgroup.com.au within 1 week following the date of your event attendance to lodge a complaint. If you do not contact us within that time frame, your request will be no longer be considered. Tickets are transferable, with arrangements made between the two parties transferring and accepting the entry ticket. Our tickets follow a restaurant booking system holding the table under one name, there is no need to change the name on the transferring ticket. The Peppermint Group is not required to participate with these discussions. If incorrect information is quoted due to typographical error, The Peppermint Group has the right to refuse. The Peppermint Group and third parties authorised by The Peppermint Group reserves the right to make or record film, photographs or other forms of moving picture, still picture or any form of them, during the event (including, without limitation, of patrons) for the use of media and promotions. Patrons entering the event venue consent and must be aware of this fact. Your Traditional High Tea Ticket includes the following: A gorgeous high tea, sparking wine and fashion show in the Grand Ballroom, along with access to the exhibition for pampering, retail therapy and take home a memento of your day! Don’t forget for added indulgence you can upgrade to the LUXE package! 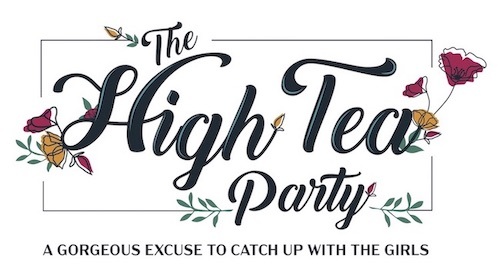 Traditional High Tea Party Experience - Brisbane, Saturday 14th March 2020 ? Traditional High Tea Party Experience - Brisbane, Sunday 15th March 2020 ? To add your ticket to an existing booking please select YES. Make sure you select the same session time as the table you want to join. What is the name of the person whose table you wish to join? Upgrade your Traditional High Tea ticket by adding on the LUXE Package. Enjoy priority entry and seating in the Grand Ballroom, relax in the LUXE lounge where you will be treated to cocktails, appetizers, pampering and a gift bag. Please do not press back or close your browser. We are processing your request. This is a secure SSL encrypted gateway. You’re Safe. Please do not press back or close your browser. We are processing your payment. This payment will appear on your bank statement as 'PleezPay.com*HighTeaBi', ticketing agent for High Tea Party.